Hi Cheryl! Thanks so much for you lovely and insightful comment. We have never been to South Korea or Namibia but they are on our list to visit one day 🙂 People watching is an amazing thing to do about travelling, that is one of our favourite things to do! We will have to certainly check out your blog if you are travel obsessed and honest on there too! I went to Xi’an in March 2014 while I was living in China, and I feel inclined to disagree with you about the Terracotta Warriors. However, I think I understand why you may have felt the way you did. The thing that made our trip to see the warriors was getting a tour guide. When we arrived, we were approached by one of the lovely Chinese ladies waiting outside the grounds who was offering her services as a tour guide (cheaper than the ones within the grounds. Her English was brilliant and I think we paid about ¥75 for the whole 3 hours we were walking round; it was 100% worth it. She gave us an insight that just looking at the artefacts couldn’t give us, and it made the whole thing way more impressive. Maybe that’s something you can recommend to your readers when they go? Our tour guide, “Linda”, also gave us a cheeky tip to use any ID card we had with our photograph on it and use it as student ID to get discount on the entry fee. I used my old student ID card which expired a few years ago, and my American travel buddy used her driver’s license. This little tactic got us discount on entry fees all over the place! Hi Anna, Thanks for your comment! And a rather interesting tip about the ID card. We did have a very good tour guide around the site, but it wasn’t the tour itself that disappointed. We were just underwhelmed – but as we say in the post, it was our own expectations. We had seen and read so much about it that we had hyped it up in our own minds of what we would see and then it didn’t turn out that way. We live and we learn. For me, it was Kbal Chhay Waterfall in Cambodia near Sihanoukville. We were told how beautiful it was and the photos looked lovely. But reality was it was nothing more than a rubbish dump with water flowing through it – litter was simply everywhere. So disappointing and heartbreaking. Yikes!! Isn’t it crazy how things get so hyped up and then turns out to be not that great?! What a shame that it was littered… that can happen when tourism begins to boom in a place! Thank you so much for reading and sharing your disappointing travel experience! I was surprised with the last 3 on your list but upon reflection and reading others comments I think it shows impact of popular tourism. As an example we first went to Kangaroo Island over 15 years ago before it was overly popular and were able to walk down among the seals. The beach was packed with seals and as we were the only ones there it was a very surreal experience. Tourism can do these things to a place, huh? Changes the whole ambience of an experience. However – sometimes it is due to the buzz of tourism that can create a vibe of a place too. 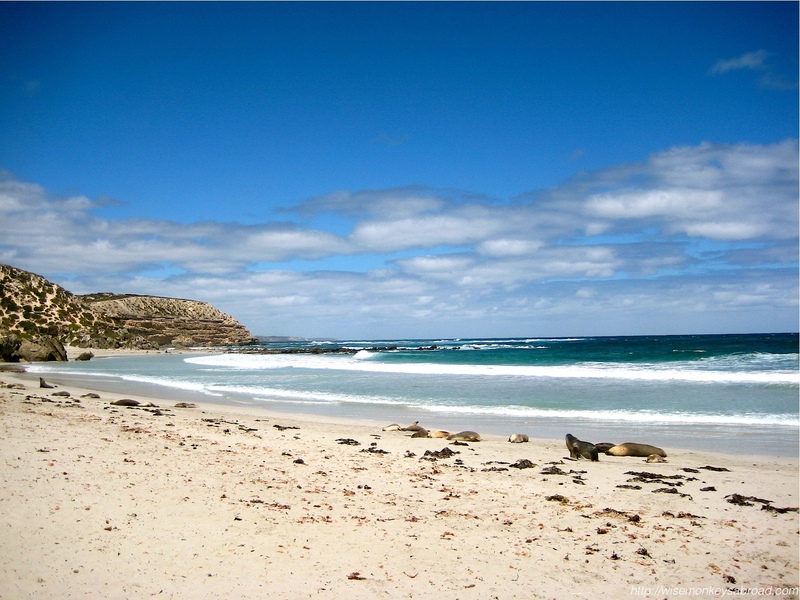 What you describe about Kangaroo Island is exactly what we experienced in the Galapagos. It is definitely a surreal experience. Photoshop and camera filters can make a lot of difference in colors. Sometimes it seems like a lot of the photos of canyons and beaches are not what your eye would actually see. Plus, when it’s really sunny sometimes the excess light washes out the color. I thought the Grand Canyon and Mt Rushmore were both let downs, but I’ve heard it is because I didn’t do the hikes around/in them. I was happy to go to both, but I have enjoyed other locations much more. If I go back I will have to explore the area more and maybe get a better appreciation of what they are. Like you, I tend to write about the things I enjoy about a place. Never thought of writing about the disappointments. Great idea. Thanks Gypsy Bev 🙂 We were a little inspired by that article we read … and thought “disappointments” are really our own doing, right? With Lady Liberty in my backyard, I suppose I never had expectations for her. The grass is always greener, right? It’d be interesting to see which places exceeded your expectations! Have no or little expectations and now everything pretty much exceeds it!! Interesting read! I would say the Taj Mahal was a bit of a disappointment because it was so crowded and noisy that I wanted to leave rather quickly. I had a “I can’t believe I’m actually here” moment when I first walked in, but after that, the crowd really got to me. Yeah, it’s amazing how an external factor such as crowds or the weather can contribute to our impressions of a place. Sometimes we’ve just got to look past it. Thanks for reading and for sharing your experiences. But disappointing does not mean regret, right? We are still delighted to have experienced all of these! We have just learnt our lesson and are more wiser now, regarding expectations! Thanks a lot for an interesting review, I think it would useful for me. I don’t like sparkling water either, and don’t get me started on the basket of bread. Without any butter. Sigh! I live in Germany so my solution is to ask for non-sparkling water straight up or tap-water. And as for butter, unless it’s a fine dining place, it’s not going to happen LOL! LOL – totally agree about the bread – what throws us off even more is having to pay for bread! But let’s not get into that… and although we are not fans of sparkling water, we wouldn’t really call it a disappointment. I was surprised to see the KI seals on your list – a few years ago they seemed MUCH closer! Maybe they were just having an ‘off’ day?? Sometimes just going on a different day can make the difference to the experience – but SO agree with not having any expectations as the key! Thanks for reading & for sharing! i loved the terracotta warriors. but I found being just one of thousands with idiots lining up for green screen photos and being herded around like cattle did take a lot of the gloss off. LOL – we didn’t take any photos amongst the Warriors, probably because we were deflated from our disappointment! The Terracotta Warriors are certainly fascinating and their history is very impressive but it was just not what we expected. Hey Shelley – Ah…. so maybe that is where we went wrong with the Spanish Steps. We needed to visit at the end of the day with a gelato 🙂 You were not harassed while sitting there? Hope you are well! Thanks for reading. We do have to confess we have probably described Los Angeles like that to our friends but we have only been there for 3 days without a car so that would be to blame. You are VERY fortunate to not be disappointed with any place yet – 🙂 Hope it stays that way! My travel disappointment was the Eiffel Tower. (And not for the reason I blogged about recently.) It’s beautiful to look at, but going up in it was a big disappointment to me. The first time was enough, but I’ve gone twice more with different groups of people and of course everyone feels they *have* to go up the Eiffel Tower. So I go, too, and pretty much hate it every time. I need to just stay on the ground and admire it from there next time. Interesting you say that! And we are glad to read that. We visited Paris back in 2006 and had no desire to go up. Then went back to Paris this time on 3 separate occasions. Before arriving, we decided that we “really should” go up this time. So we saw the Eiffel Tower from different vantage points and when we went up Sacre Coeur (the 300-odd steps or so) we loved how Paris looked from up the top BUT only when the Eiffel Tower was in view. So we gathered that going up the Eiffel Tower meant we would’ve had a similar view but just without the most gorgeous aspect. Subsequently the decision to go up changed – there was no point because we wouldn’t get to see the iconic tower if we are on the tower. Plus the lines were so horrendous, it deterred us the day we standing underneath it. This IS an interesting topic. I admit the view from the tower was not my fav. HOWEVER… I truly enjoyed going UP the tower…every time I go, I climb it….I love taking those stairs. First off…fewer lines….but the real pleasure is getting up close and personal with the structure. The nuts and bolts alone are pretty impressive. I like to feel one with the tower…hee, hee, hee…..no but seriously…it is a nice feeling to climb that tower….It is only to the first and maybe second level (can’t even remember now)..but it does feel like a little accomplishment. Well, we can’t comment too much as Eiffel Tower is not one of our disappointments – we actually enjoy it very much there. But we can certainly imagine it does feel like an achievement! There are always going to be places that have less of a wow factor than others. I’m actually starting to worry that I’ve seen so many incredible places that I am becoming a bit of a travel snob and it now seems that I’m harder to please! Although I do think some places are so over hyped that we’re bound to sometimes be slightly disappointed. Great idea for a post – I won’t be doing one myself though as I’m actually slightly ashamed by some of my disappointments! Ayla – we find it hard to believe that you could be a travel snob. We feel it is almost the opposite because we travel so much and have seen such incredible places, we can almost find the beauty in everything. It’s those “hidden gems” and “off-the-beaten-track” type of things that thrill us more, right? Now you have us totally intrigued about which were some of your disappointments that you are ashamed of?? Please share just one for us…. pretty please??? Yeah I agree – I much prefer going to places that are not the norm. When someone suggests a holiday to Spain (which is the most usual holiday destination for us Brits) inside I’m screaming out for somewhere more exciting and less popular! Okay okay…the pyramids in Cairo were one of my disappointments. May have been because of all the touts trying to sell us things everywhere and we literally had things thrown in our faces and had no choice but to give them some money so they’d leave us alone. So that probably didn’t help! I’m still glad we saw them but I was just extremely underwhelmed. Aha – the Pyramids…. we hear that about this one being disappointing very often! So nothing to be embarrassed about, we have heard that the harassment to buy is pretty intense! Oh Fiji is gorgeous you should really go! There are so many islands to choose from as well all offering something slightly different so you can just visit wherever suits you best. Yeah the Pyramids were pretty awful. Alex ended up just throwing money at this guy to get him away from me and we didn’t even want what they were selling! On this last trip, especially when we did the Camino – we refused to look at any photos or things about it because we didn’t want to be disappointed. It worked perfectly because everything was seen for the first time, none of this “That’s not what it looked like in the picture”. We sometimes set ourselves up for disappointment by “expecting” something. That is so funny!! I remember working on South Neptune Island (quite close to Kangaroo Island) one day many years ago and noticing sea lions down on the beach. I was so excited I rang my kids – they were less than impressed – but for me it was an ‘I can’t believe they pay me to do this’ day. Maybe if I had gone there on a holiday and was expecting more, I might have been disappointed! Melinda – it is always interesting to see/hear another perspective. And yes, sometimes as travellers we form these ideals in our head about what things should be and thus we have now learnt to keep expectations low or a minimal. Impressive list! 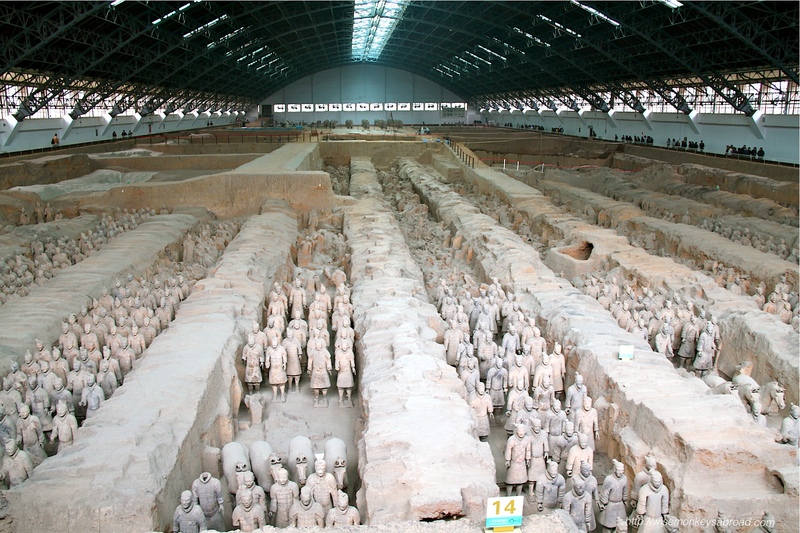 I was overwhelmed by the Terracotta-Warriors, wehn I saw the first in 1987. Not too many visitors then. Some 20 years later I saw them again. And it was still overwhelming. Nothing mysterious about them, but I did not expect that. A close look on some warriors is possible at the Shaanxi Provincial Museum. Very impressive! On the top of my list of idsappointments is Mona Lisa. I expected the painting to be much bigger. I also think, that Mona Lisa is not really a beauty. Another disappointment to me was the famous Yu-Garden in Shanghai, too crowded, no place for quietness and contemplation. Had to chuckle at your comment. It is funny you mention the Mona Lisa because that almost made the cut but is probably sitting in the top 10. We were the same. We actually thought it would be bigger so when we went to the Louvre and there are hundreds of people milling around and we were like 50 rows back. It begins to look nothing bigger than a postage stamp. Another one of those “hyped” up things to see. But how can you go to Paris and NOT see the Louvre and not see the Mona Lisa. Completely agree with this: Go somewhere to experience it, not just to see it! Beautifully said! We don’t mind the “touristy” places too much but you are right, the golden gems are the ones that not many people visit or the ones that people don’t seem as fussed about. Batu Caves looks incredible so at least now we know that we will need to fend the pedlars off if we go…. I actually like fizz myself – but only a couple of gulps at most. Still bottled water is always the to-go drink in my opinion when traveling. None of that sugar liquid stuff to stress our tired traveling bodies. Spanish Steps… I was disappointed, too… maybe it was the horde of tourists or people just sitting there. I thought, are we supposed to sit, too ? Glad to hear that it wasn’t just us with those steps. Yeah, we didn’t even think to sit because when we turned up, it was a case of “So what are we looking at?” We couldn’t bare to sit on the steps if standing caused that much hawker harassment – sitting down would’ve indicated that we were staying awhile. We sat in front of the Trevi Fountain and couldn’t even cut a break with 2 minutes to ourselves. We don’t mind the crowds or tourists, it’s the hassling from vendors that really turns us off. Nancy Says:Yes and definitely no! Our first 2 visit in Autumn 2010 was a little underwhelming, but the fist(Spring 1973) and the last in Spring 2013, the Steps looked wonderful. Just like the postcard, covered in various shades of Azaleas, ranging from reddish-pink through to white. It was spectacular. Not too crowded either and not really bothered by hawkers too much, probably thought we were too old for “red roses’! As we were leaving from the top to come back down it started to rain lightly and a sea of multicoloured umbrellas appeared below us. Wonderful! the flowers make the difference as that what we have come to expect from photos. But the aspect and experience is much better if you make the effort to climb to the top. If you are in Rome in Springtime, go back its quite different. So it sounds like the flowers that we were missing! Oh well, calls for another trip to Rome then! Hahaha my husband was SO let down by the Spanish Steps too – I have no idea what people expect of it, but I guess their loft expectations aren’t quite met! I think it’s great to get excited and look forward to something, but the ridiculous expectations some people have when they travel, and their sense of entitlement that everything should be perfect, is the perfect set-up for a miserable time! You just have to take things for what they actually are, not what you want them to be! SO very true! A “sense of entitlement that everything should be perfect” – such wise words. We have learnt that the more we travel, the more we accept things for what they are. The more we see that we are the “outsiders” and that we can’t be critical of what we see. That’s why this post, we wanted to share that there really is no one else to blame when it comes to being disappointed when travelling. No one promises anything to us about what we will see when go anywhere – it is us that forms the images in our own heads and then feel cheated! And Barcelona, for me, is probably the most overrated city I’ve been to. But then again, there’s so much hype, I don’t know what city could measure up to it! 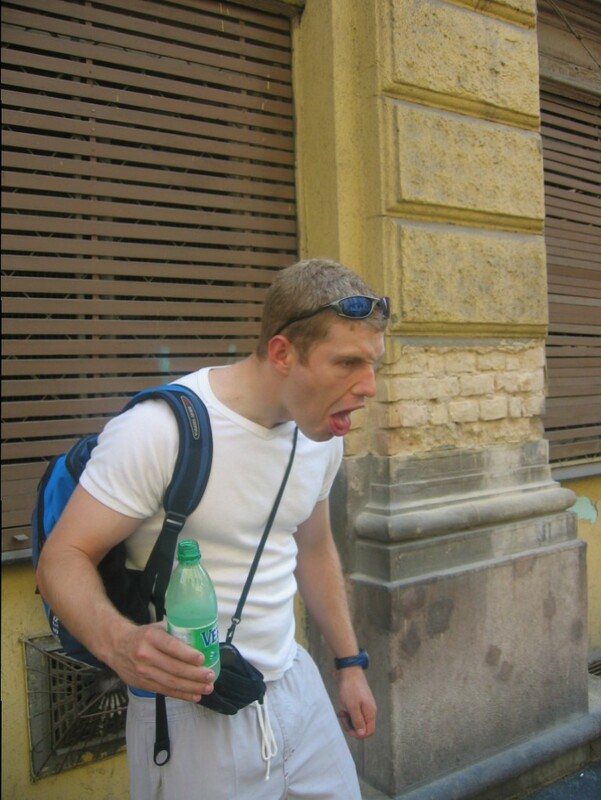 Ahhhh – Barcelona was our most disappointing European city ever. But as we have responded to the other readers, other factors do play a part in our opinion to. Someone broke into our hotel room and took some of our “souvenirs” that we had purchased from our time in Europe. So we resented that place. Totally unrelated to the city itself but it does dampen the mood a little. While in Italy, everyone had hyped it up SOOOO much for us that when we went, we were a little disappointed with some of what we saw. We saw some amazing stuff but also witnessed things like the Spanish Steps where we felt so deflated after seeing them. 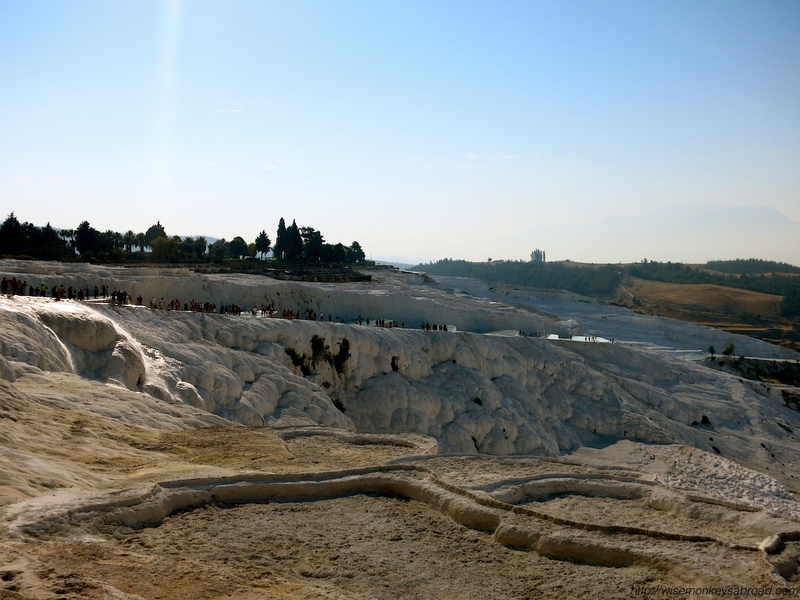 I much preferred Florence – you should go there! I had to smile when you mentioned the Spanish Steps because they were crowded when I was there too (when are they not?!). As a result, I felt I never really got a good look at them and so, I couldn’t remember them at all. Good thing you included a picture or I’d still be feeling clueless! LOL – We still are not quite sure what we were meant to look at?! Were we meant to have our jaws drop in awe? We were probably jaded by that part in our trip of Italy. So after writing this post, we actually talked about how much we do want to go back to Italy and see more. 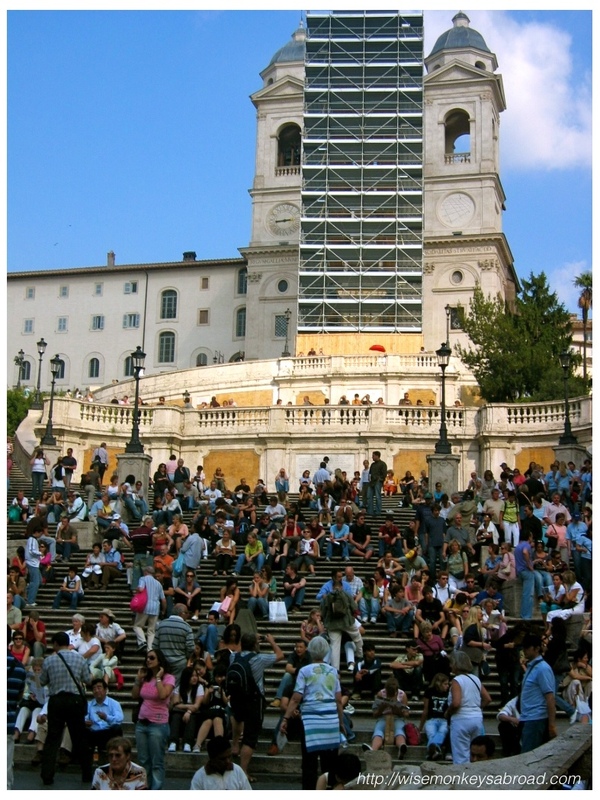 When I was living in Italy I had no idea what the Spanish Steps were. It wasn’t until we were wandering around Rome and someone mentioned it was a “thing” … otherwise it just looked like another Roman block to me. Covered in butts as well. 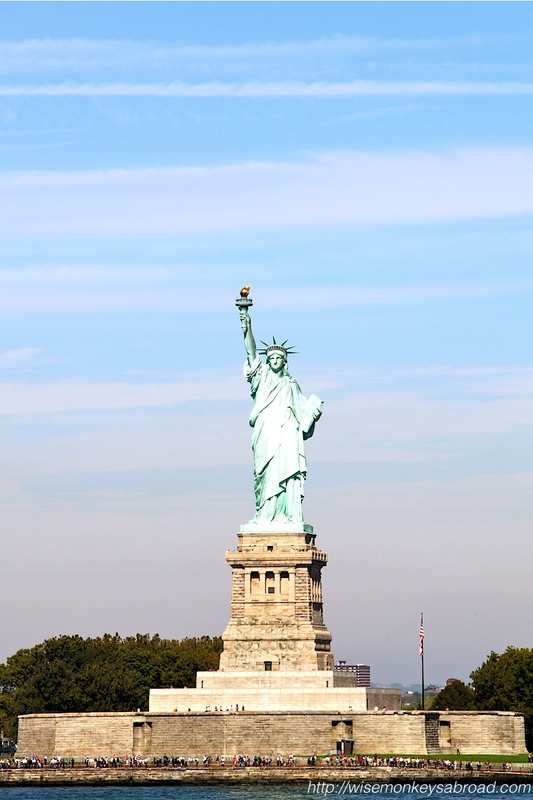 Also I go to NYC at least once a year and have never seen Lady Liberty but was going to this next time. Did you climb to the crown? Thanks for sharing and we look forward to reading your own disappointments if you make a list! I enjoyed the Terracotta Warriors, but I had almost no expectations going in! I think you’re right that if you have a very specific image in mind, you’re bound to be disappointed when you see it in person. Nice list. I thought the Terracotta Warriors were *slightly* overrated, but I still enjoyed them when in Xi’an. I am surprised you didn’t like the Statue of Liberty though. Seems like a good attraction to me. Yes, as we say, one component of a place shouldn’t wipe the entire place as disappointing. Our Terracotta Warrior experience didn’t taint the way we saw Xi’an! We loved it there. The Statue of Liberty was smaller than we excepted. It was kind of a … “that’s it?” moment. Definitely cool to see still though. As we said in response to some other readers, sometimes it is other external factors that contribute to our “disappointment”. So not ruling out that we might change our minds in future. It is very true that first impressions can be a killer to travel. It is hard not to have expectations, but I think it is important to be flexible in your expectations. And learn from everything you experience along the way as much as you can. Yeh, that’s a really clever way of putting it: “flexible expectations” is good. As we responded to CrazyChineseFamily, sometimes it is not just our expectations but it’s a multitude of things too. So we turn up at something but it isn’t quite what we pictured, and normally we can deal with it… but if we are tired, hot, impatient…. it can make the disappointment seem a gazillion times worse. Guess our purpose with this post was to say that to label an entire place as disappointing is harsh. Sometimes and usually it is only components of our expectation that results in it being that way. I think it is impossible to avoid disappointment when traveling as you always have some kind of expectation beforehand. You are right – it is not possible to have NO expectation. But having a little expectation is possible. And also not to let the hype take over. How we each react to something is different and sometimes it is the external factors like the humidity or lack of AC that makes us not truly enjoy a place. If we think “Gosh, get me out of here because it is hot or stinky,” then chances are that experience at that point in time is tainted. Thanks for reading and taking the time to comment! Have a great day. So true!! Although we were disappointed with what we saw – we weren’t disappointed to be there 🙂 Thanks for reading!